1. You’ve been an award-winning traditionally published writer and successful indie author. What have you found the most profound difference between the two experiences? The most far-reaching difference is that, now that I’m self-published, I am in control. When I was traditionally published I had a title change forced on me. Admittedly, the cover design was great, but it had absolutely nothing to do with the storyline. To be honest, I felt as if I was selling someone else’s book. But I was so grateful to have won a competition that came with a not insubstantial pot of gold and a publishing deal that it didn’t occur to me to challenge whether these things were right for me. I didn’t even become aware of the most significant decision that had been made on my behalf until my publisher exercised their first right of refusal of my follow-up novel. They said they loved it, but Half-truths and White Lies had been published under their women’s fiction imprint, and A Funeral for an Owl wasn’t women’s fiction. (My main character is an eleven-year-old boy). I had never set out to write only for women, but no one asked me about my long-term goals and I hadn’t been savvy enough to ask. Another huge difference – sometime between my publishing deal and my decision to go it alone, e-books happened. Before this, an author friend was told by her agent, “Don’t waste your time writing. The midlist is dead.” The bottom line was that if a publisher can’t make money from a book, neither can the agent or the author. The indie publishing revolution rewrote the balance sheet by sweeping aside the crowd of people who used to stand between author and reader. For me, self-publishing is the mechanism that freed me to be more ambitious in terms of where I wanted to take my fiction. Instead of being dictated to, I am free to write about what I want to write about. Remove the pressure of trying of tying to mould something to fit the current publishing market – which agents admit is risk-adverse and overly-commercialised – and it grows wings. I had assumed that my slightly quirky, very British books that would appeal to a British audience, but sales statistics show me 95% of my readers are American. Transparency in terms of real-time data means that I can tweak things that aren’t working. I can change the pricing or key words, update the book description and get rid of that one pesky typo that slipped through. Last year, I updated the book cover for my best-selling novel because I thought it could work even harder for me. And it has. Another difference had to be pointed out to me. I was in the coffee queue at the London Author Fair chatting to the author in front of me, who happened to be traditionally published, with five books under her belt. While I was doing so, a number of people came up and said hello to me, and the trade author said (with some dismay), “How do you know all of these people? I sit at home on my own and write and I know no one.” I was reminded of how naïve and alone I felt when I got my book deal and of what a great sense of community exists among indie authors. Once authors venture down the self-published route, they can see its all-too-obvious advantages: complete creative control, ability to publish to their own schedules and react in a timely manner. As a self-published author the decisions – wrong or right – are mine. It’s daunting, but I really feel as if I own the end product. 2. What is the biggest challenge of being an indie writer in the UK in 2016? Perhaps now’s the time to touch on harsh realities, whether you’re indie or traditionally published. I saw my e-book sales drop by 80% with the advent of subscription services. It is a tough market out there and, with limited resources, I am a very small fish in an increasingly overcrowded pond. I can’t do anything to change that, so last summer I decided to refocus on paperbacks and produced new editions. In the summer of 2014, I gave a series of talks with a traditionally published author. 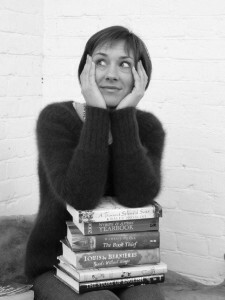 When asked what the main advantage of being traditionally published was, she replied, “We still own the bookshops.” That situation is gradually changing. And it needs to. Andrew Lownie predicts that by 2020, 80% of books will be self-published, 10% will be assisted published and 10% will be trade published. What isn’t clear is whether this represents a huge increase in the overall number of books being published or whether there will be a mass exodus from traditional to self-publishing. Joanne Harris was among the big-name authors who went to the House of Commons in the summer of 2014 to debate the fact that authors’ incomes have decreased by 29% since 2005. (The typical author can now expect to earn £11,000, compared with a living wage of £16,000.) Last November Nicola Solomon said that most people would be shocked by the number of household names and award winners who are now applying to the Society of Authors’ benevolence fund for grants. Few people realise that only 5% of books sell over 1000 copies. The issue of author earnings is both serious and global. To return to the point I was intending to make! If Andrew Lownie’s predictions are true, then bookshops (and libraries) who refuse to stock indie titles will only be offering their readers a very small portion of what is available. Indie author Piers Alexander made headlines when he struck a deal to distribute his self-published début A Bitter Pill through W H Smith Travel (WHST) stores. This has since been expanded to include their high street stores. It clearly illustrates that minds can be changed. I now have a trading arrangement with Waterstones and my books are stocked in Foyles, Charing Cross Road. These changes might sound small, but to me they are significant. 3. Tell us about the Virtual Book Club. Virtual Book Club is my author interview series. In 2013, I found myself in excellent company when I Stopped Time appeared on the Guardian’s list of the Top 50 Self-Published Books, which was voted for by readers. I contacted every other author on that list and asked if they would like to be interviewed for my website. It’s a win-win situation. I offer a little exposure and, in return, I attract new readers to my website. The introduction of the idea of a book club came later when I wanted to make it obvious that my site is designed to attract readers and not to give advice to writers – although interviewees are very generous in sharing their writing tips. As well as indie authors, I have featured some big names. I was absolutely delighted to host an interview with John Ironmonger last year. I approached him as a fan after reading The Coincidence Authority (you know how it is when you discover a new favourite author) and he was utterly charming and humble. 4. What role do freelance collaborators play in your publishing? Huge! One of the myths about self-publishing has been perpetuated by the name it goes by. After working on a book for a year or more, it is impossible for me to be objective about its strengths and weaknesses. The end product is always a result of teamwork, even though doing business over the internet means that the members of my team never meet. I have built my own team from the ground up: a structural editor, copy editor, proof readers, a cover designer, an interior formatter and a website designer. The ‘self’ part in self-publishing is that I alone decide when to press ‘publish’. I’m not afraid to spend money but, at the same time, keeping within budget is crucial. You have to own up to your weaknesses and spend wisely. Someone who is IT savvy might be able to tackle formatting on their own. Personally, I get very involved in the cover design, so I come up with the concept and choose the photographs, then employ a graphic designer to execute it for me. Not all collaborators fall under the definition of freelancers. Beta readers are an essential part of my editorial process. I use a core of 20, all at the same stage – when I have self-edited my manuscript to within an inch of its life and think it is nearing completion, but before I send it to my copy editor. Sometimes I seek out a beta reader with an area of expertise or a perspective that I lack. A Funeral for an Owl involved many medical details so I used someone with medical training to correct any inaccuracies. By way of another example, An Unchoreographed Life, told the story of a ballerina who turned to prostitution when she became a single mother. I used dual narrators, the mother, and the daughter, who ages from six to eight during the telling of the story. Although I researched child psychology and developmental stages carefully, I don’t have children of my own, and so I put specific questions to those beta readers that do. Was the speech age-appropriate? Had I captured a child’s priorities and fears accurately? There’s a difficulty in asking for too many opinions. When opinions conflict, you have to decide which are valid, or test those opinions further. If, as I do, you refuse to shy away from the big subjects, you have to be prepared for strong reactions. Just because readers express strong reactions, it doesn’t mean that something needs to be changed. It is far better to have a strong reaction than no reaction. At this stage, you have to have faith in your story and the characters you have created. Does it matter if readers like your characters, for example? You may say no, but you have to provide readers with a reason to be gunning for them. In the past I paid a structural editor to do much the same job (sometimes more than one), and relied on critique from my writers’ group. You can never skimp the services of a copy editor, but my last release was the first time when I was confident enough to skip a structural edit. The other less obvious advantage is that the buy-in of beta readers is enormous. They become your first layer of people to create a buzz about the book. I have also collaborated with other authors. In November last year, I decided to look for several other authors to collaborate with to launch a multi-author box-set. We called it Outside the Box: Women writing Women. I soon discovered that another author, Jessica Bell, was doing the very same thing and already had two other authors on board. So we threw in our lots together and became seven. Within that group we had Orna Ross, founder of Alliance of Independent Authors (named for the second year in a row as one of the 100 most influential people in publishing), a NYT best-selling author who is something of a media expert, a ghost writer, a cover designer and a website designer. (You can see the benefits!) With the power of a group we were able to get coverage in The Bookseller and several national newspapers, something an indie working alone would struggle with. 5. What advice would you give anyone thinking that they want to go the indie writer route? The self-publishing revolution has had an impact on both traditionally published and self-published authors (and, of course, there’s a 25% overlap). Quite simply, all authors are better informed. In the past, authors were told they had no business being at Book Fairs. As recently as 2012 one editor said, “It’d be like bringing a cow for a stroll around a meat market.” Just two years later, Frankfurt Book Fair opened its doors to self-published authors, and at the London Book Fair, many events are specifically aimed at author/publishers. Thankfully, it is easy to get your hands on information that used to be ‘hidden’. Understand what you’re getting into, and by that I mean the entire process and all of your options – because the great thing is that you have so many. What is your budget? How much of the process can you do by yourself? Would assisted publishing be right for you? I strongly recommend joining the Alliance of Independent Authors. Their Facebook forum alone is worth the annual subscription. If ever I have a problem that I haven’t come across before, there will be dozens of members and the fact that so many service providers are partner members secures a quick and accurate response. 6. Tell us about your future publishing plans? My current work in progress is at the beta read stage. It is the story of a political poet who is extremely pissed off to find herself on the New Year’s honours’ list after being anti-establishment the whole of her life. It’s another collaboration. (I know you like that word.) I decided that the worst possible thing I could do for the book would be to write the poetry, so I have asked a poet to do it for me. I’m not sure I would be allowed to do this sort of thing if I were under contract. Frankly, it would be too messy. Fortunately, as an indie, I can hammer out my own terms. I can’t afford to pay the poet and am in no position to offer profit share, given that (a) I am incurring all of the costs and (b) there is never any guarantee of breaking even. The poet in question wants to teach in more schools, so we are running a schools poetry competition that she will judge. I am donating book tokens as a prize and will do all of the footwork to publish a poetry anthology that the schools will sell to raise funds. Check out Jane’s Facebook, Twitter and Pinterest.